I am so glad that a new style is gaining more and more popularity: The Chicago Sound, a mixture of Jazz, Blues and Swing is being recreated and mixed up with jackin' House Beats. 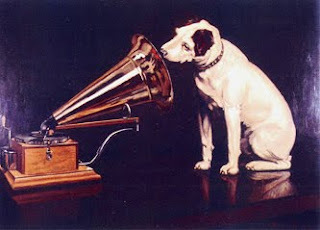 You sure know some of these old tunes that were played when gramophones - imagine a 1210 just with unsteady single speed but with build-in speaker limited to 11 KHz sound - were modern. So this sound really works great combined with House and there've been so many great tunes released in the last time that i decided to put them (and some older ones) together into a mix. Some of this tunes are already my alltime fav's and i play them whenever i can, thats a style i really love. Guys, check it out. Swing is the new Funk! Please support the artists and buy the tracks if you like them! You can find many of this tunes in smaller stores like Stompy or Primal Records.